Day two of my Lake Placid vacation took me to the Adirondack Loj, a starting point for many of the 46ers. 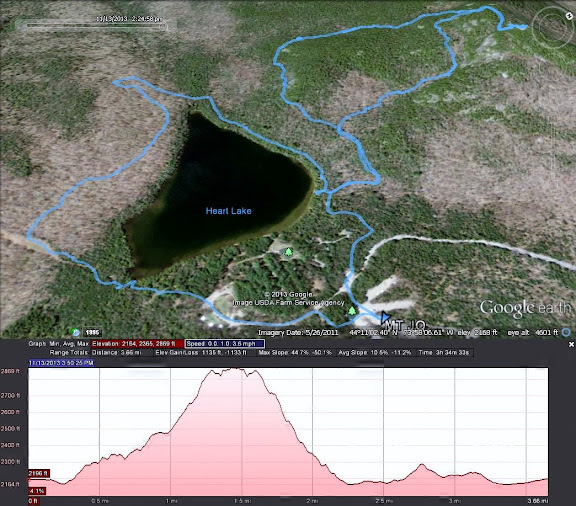 But not me today, a simple hike to the summit of Mt Jo and loop around Heart Lake is all I planned on. After parking I headed off to the trailhead. There are two trails going up a short trail, that is steep, and a long trail that is not so steep. The difference in length is less than a quarter mile. I opted for the long trail. With all the freezing and thawing, there was quite a bit of ice hidden under the snow. At times with the snow, it was difficult to follow the trail, but the old adage of continuing up worked every time. Eventually I hit the spot where the two trails rejoin for the short hike to the summit. After spending time at the summit, started down on the short trail. In one spot it got very close to some ice melting down the rocks. Eventually I got down to the shore line of Heart Lake, to start my trip around it. On the way around, I took a detour to check out the ski slope. There’s also some leanto’s in the area you can rent. After getting back to the car, I went to check out a trailhead for tomorrows hike, and see how my snow tires performed on an unplowed road.